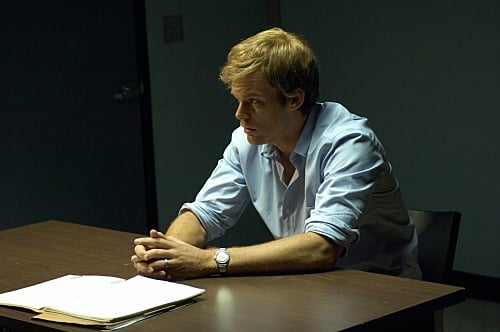 Dexter Morgan sits and ponders life in this photo from season five. He'll be renewed and refreshed on season six. 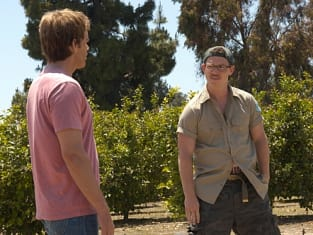 Dexter Season 5 Episode 2: "Hello Bandit"